Though I’m still a relative youngin’ compared to lots of other gaming folks in our midst, I remember a time before the NES existed. And I remember subscribing to Nintendo Power magazine when it first was launched. Many years later, I was lucky enough to fulfill a childhood dream when I scored a steady freelance gig writing for the magazine. I’ve really enjoyed penning articles for the mag the past few years and working with some great folks on their editorial team, which makes today’s news that Nintendo Power will be closing down all the more crushing. Apparently, news of the magazine shuttering wasn’t supposed to hit just yet, though the folks at Ars Technica were able to get the scoop from un-named sources. You can check out their story here. I’ve confirmed with my own sources at the magazine that it will be closing after the next few issues are wrapped up. From Kyle Orland’s reporting on the matter, it seems like the impetus behind the closure is coming from Nintendo’s camp. 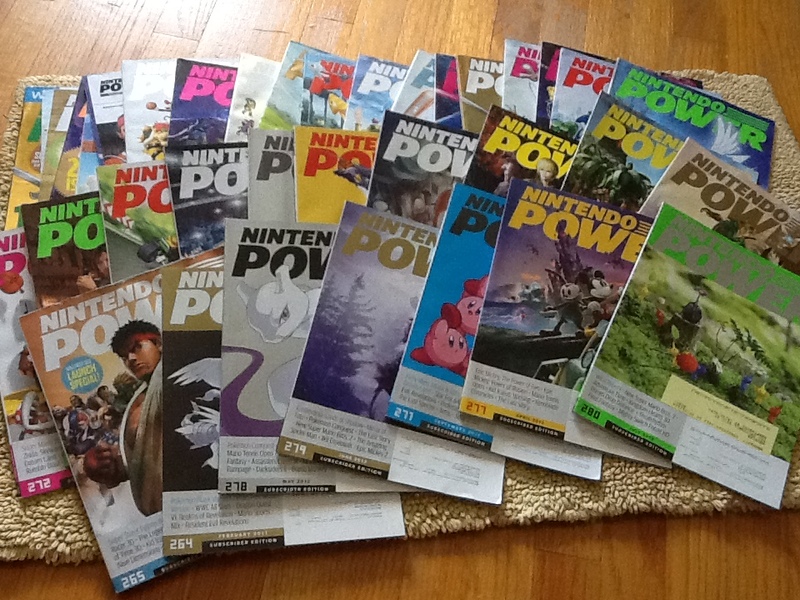 Nintendo Power was published directly through the company from 1989 to 2007, after which it contracted out with Future US to continue publication. According to Kyle’s sources, Nintendo isn’t interested in continuing the contract or taking control of the magazine, essentially letting an iconic publication die on the vine. That’s depressing indeed. My mind was blown when I started pitching the magazine in early 2009 and finally managed to score an assignment that summer. 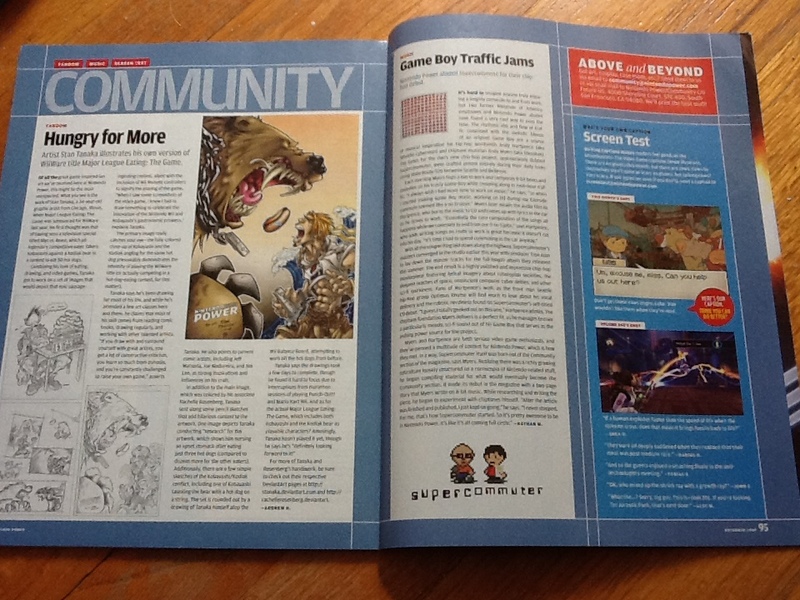 My first piece, “Game Boy Traffic Jams” ran a few months later in the Community section of the November 2009 issue. It was a perfect storm, as far as pitches go. I had been in touch with Andrew Hartpence of nerdcore hip-hop group Optimus Rhyme fame, who had mentioned he had a new hip-hop/Game Boy music project with Andy Myers called Supercommuter. Both band members had been long-time Nintendo employees and contributors to Nintendo Power, and Myers had even been the original writer responsible for starting the community section. It was the perfect hook to pitch a story about their new group, which hinged on an old-school Game Boy DMG. That’s the pitch I scored my first assignment with, kicking off an awesome three year relationship with the mag. I’ve had articles appear in nearly every issue since then – almost 40 issues in all – and it’s been a great run working with the editors and fellow freelance writers at Nintendo Power. I’m hoping they all land on their feet at other outlets and gigs, though it is slightly comforting knowing that some staffers are getting absorbed with new positions at other existing Future US publications. So right now I’m working on what will probably be my last contributions to the magazine. I’m not sure how I feel about that, other than sadness to see it go. I’ll definitely look back fondly on my relatively short time working with these rad folks. RIP Nintendo Power. Do you want to get paid to write about video games for a living? Find out how to jump start your freelance career by backing my book Kickstarter to score your own copy of Up Up Down Down Left WRITE – The Freelance Guide To Video Game Journalism. Want to read more Shop Talk? Why not scope out the archive for past installments! Dig this article? Follow @nmeunier on Twitter. Also, please consider telling your peeps about it and spreading the good word via Twitter, Facebook, and other social networking sites below. This entry was posted in Freelance Game Journo Shop Talk and tagged @nmeunier, advice, closing, freelance, game journalism, how to be a game journalist, kickstarter, nathan meunier, Nintendo Power, nintendo power to close, shop talk, shutting down, tax advice, tax deductions for freelance game journalists, taxes, writing by nmeunier. Bookmark the permalink. Have any fond Nintendo Power memories? Share them here in the comments section! When I was a kid, I used to spend days at my cousins house who had stacks of Nintendo Power mags. We use to read them and read them, while we stayed up late and took turns on his NES. I kind of wanted to believe Nintendo Power would always be around, you know?